Is a report used to consolidate all the transactions created in a particular period and giving a common due date. Here we will specify the time interval for the bills viz: daily, weekly, monthly. We will specify the date at which the bill should be generated. We can give more than one billing date as per business scenario. Can exclude Saturdays and Sundays if necessary. 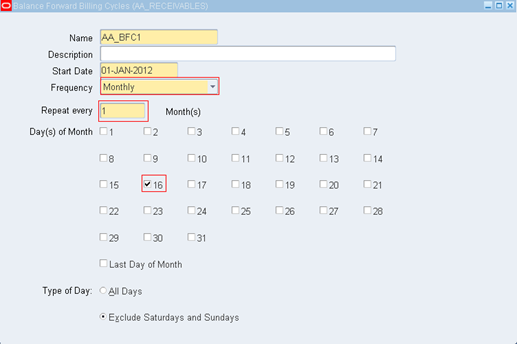 In the above screenshot we can see the selected interval is ‘monthly’, specified to repeat every month and the billing date is ‘16’ of every month. Link up the Payment terms in the Profile class and fill rest of the tabs as necessary. 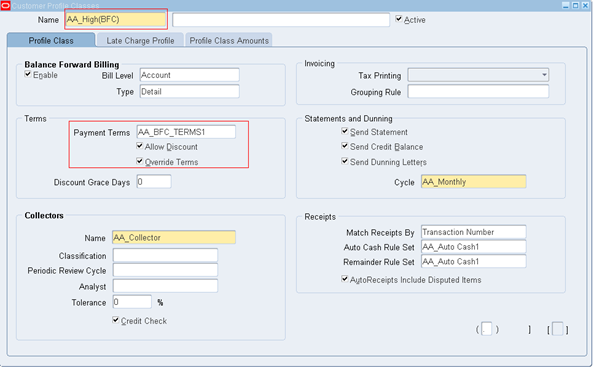 Now create a customer with this profile class and enter some transactions for testing. 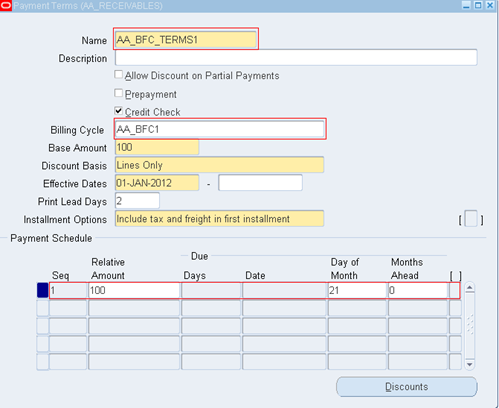 Now submit the program ‘Generate Balance Forward Bills’ and view the output.